I'd read this one a few year ago. It was long enough ago that I'd forgotten much of it outside of vague notions and ideas. It's time for Rokan to be king and he's afraid for his life. Many years ago the crown was protected by a Shifter but there was a tragedy involving the last royal family. This creature was said to be born of mist and fog and could shift into any animal including a human being. 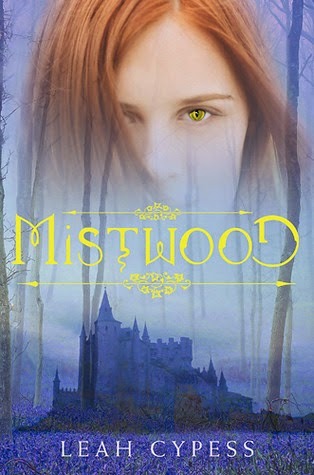 Rokan travels to Mistwood to find his Shifter and binds her to him using a special bracelet. The Shifter, Isabel, is finding it hard to shift and doesn't really understand who or what she is though she feels it's her duty to protect Rokan. She just has to figure out who exactly is threatening the crown. She is finding it more and more difficult to do her Shifter job due to emotions clouding her judgement. Though the Shifter is supposed to be less than human. I liked this one because it's more of a character study instead of the relentless action you find in many books of this genre. I would have liked to see more romance but I enjoyed what was there.